Morris and Perry are a staunchly independent family owned company located in the middle of the Mendips, competing in an industry dominated by large multi national quarry producers. Our customers come first and we believe that they are best served by being able to talk directly to the people who know and run the business. If we can’t help with an enquiry we probably know who can and we’re not afraid to say so. We first began quarrying in 1928, and after 86 years we know what we're doing! Our main focus is now Asphalt, Concrete and Aggregates which we provide to a wide range of industries and companies. We are proud to be well known in our community, helped in large part by our green and yellow livery. Our Aggregates are used primarily within the construction industry, using the aggregate in a wide range of applications, similarly our concrete is used by a large number of construction industries, from home construction to major operations such as new business parks, our asphalt is used for new road services across a wide area. 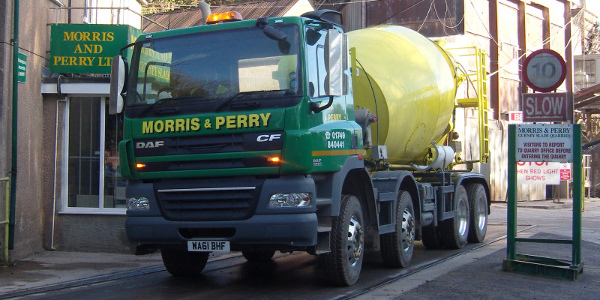 Morris & Perry have supplied ready mixed concrete from our on site plant since 1963. We operate our own fleet of delivery vehicles and offer an on site service second to none. We have been a family run business for a long time, and in that time we have built up a name for ourselves by making customer service and satisfaction our top priority. So if you're in the Somerset area get in touch today!